맛 볼수 없는 서민의 요리를 맛 보면서 그이들의 생활 모습을 체험할수 있습니다. 경제 발전에 따라 점점 줄어 가는 북경의 옛거리를 몸 가깝게 접촉할수 있습니다. 사합원 호텔 (쑈왠)은 8가지 장점을 갖고 있습니다. 20분 정도로 갈수 있습니다. 호텔에서는 자전거를 빌리고 있습니다. 국인 전용); 경극,서커스,쿵푸등 연극 티켓 대행; 중국 국내 열차,비행기 티켓 대행 등의 서비스를 제공하고 있습니다. 세번째, 호텔의 책장에는 영어, 한국어, 일본어등의 여행책들이 마련되어 있습니다. 호텔에서는 영어,한국어,일본어 3개나라 언어로 대화가 가능합니다. 지배인은 재중 교포이기에 숙련한 한국어로 대응할수 있습니다. 파티 등을 무료로 진행하고 있으며 중국 전통 차도를 체험할수 있습니다. 다섯번째, 호텔의 접수처에서는 무료 인타넷을 제공하고 있으며 무선 라인, Wi-Fi도 설비되어 있습니다. 접수처 옆에는 호텔 내부의 카페 바가 있습니다. 한국 소주를 비롯하어 세계 각국의 웨이스키, RUM, VODKA, 와인, 맥주등을 제공하고 있습니다. 중국 사천 요리도 주문할수 있습니다. 있으오니 재미있는 구경을 하실수 있습니다. 를 제공하고저 노력하고 있습니다. 저희의 자그만한 숙소를 통하어 북경에 오시는 더욱 많은 한국 손님분들쎄서 저희의 베이징, 저희의 중국을 이해하어 주시기를 바랍니다. 마지막으로, 사합원 호텔 (쑈왠)이 진정으로 여러분들의 으로 되어 주시기를 충심으로 념원합니다. 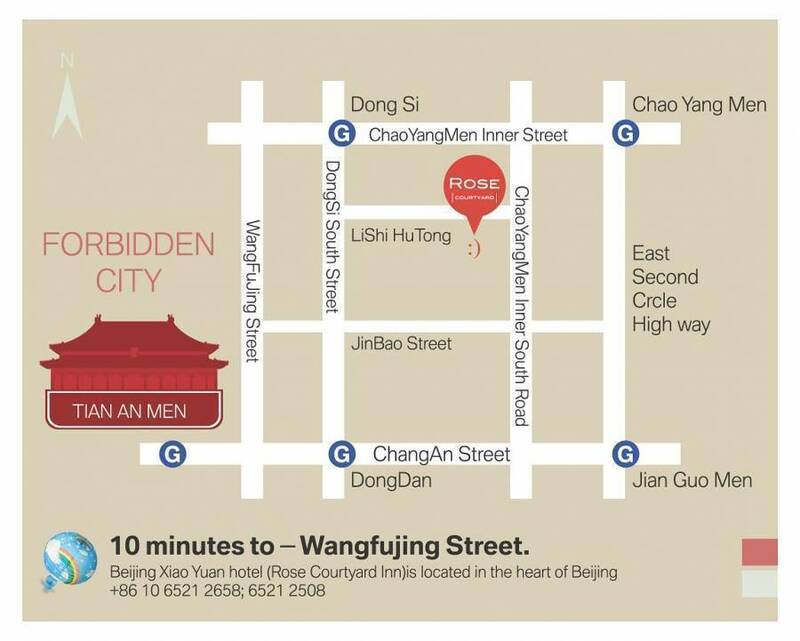 The hotel is adjacent to Forbidden City, the spectacular Tiananmen Square, Dongsi Street, Wangfujing and other historical Beijing commercial streets. The great accommodation location provides guests with easy access to a number of Beijing’s tourist attractions and business premises either by public transport or taxi. Traditional Chinese room style, courtyard waterfall, ponds and delicate corridors and bridges bring guests the unique comfort and relaxation. Together with traditional Chinese food and drink, our guests will be able to have an outstanding accommodation experience. 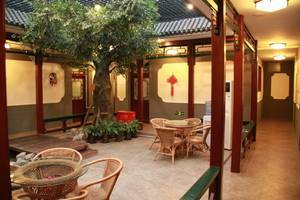 Beijing Courtyard Inn can be your warm home in the centre of Beijing, no mater if you are on business trip or making holidays. Luxury Suite： With bright spacious rooms and delicate decoration, our Luxury Suite offers you king-size beds and traditional Chinese compartment, stylish historical Chinese furniture, together with modern facilities, neat and clean bath room. 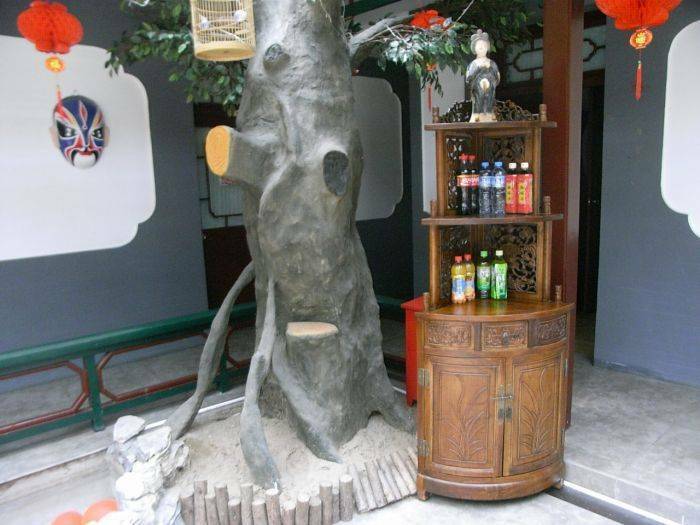 Our guests can happily enjoy doing business in relaxing atmosphere with strong Beijing local culture. Our Luxury Suite undoubtedly presents your gorgeous status and offers you VIP level services. Luxury Standard Room： With stylish Chinese decoration and convenient facilities, our Luxury Standard Room offers you TV, International Telephone, Internet Access, in order to ensure our guests enjoying the outstanding entertainment and communication facilities. Moreover, Luxury Standard Room provides our guests with decent living room items. 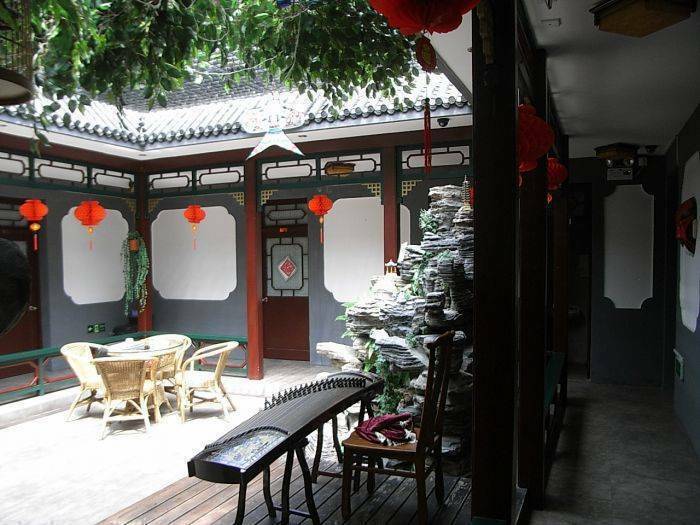 Combined with the strong Chinese culture elements, Beijing Courtyard Inn will surely be your ideal accommodation for your business or tourist trips. Luxury Single Room： With stylish Chinese decoration and convenient facilities, our Luxury Single Room offers you TV, International Telephone, Internet Access, in order to ensure our guests enjoying the outstanding entertainment and communication facilities. Moreover, Luxury Standard Room provides our guests with decent living room items. Combined with the strong Chinese culture elements, Beijing Courtyard Inn will surely be your ideal accommodation for your business or tourist trips. Economic Room: (4-bed/share bathroom) Economic Room offers you TV, International Telephone, Internet Access, in order to ensure our guests enjoying the outstanding entertainment and communication facilities Combined with the strong Chinese culture elements, Beijing Courtyard Inn will surely be your ideal accommodation for your business or tourist trips. 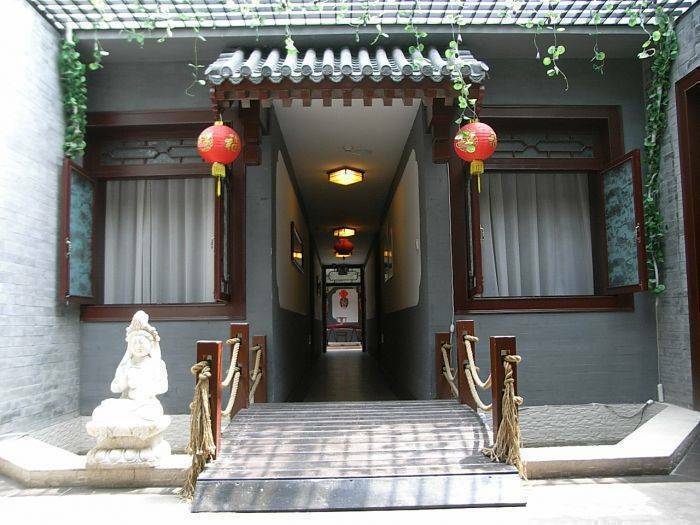 Xiao Yuan Alley Courtyard Hotel is a traditional si He yuan which local in Li Shi Hu Tong—a typical Beijing’s Alley. There are several branch alleys access to each other. This area is protected by Beijing government. Some brick sculptures of Qing Dynasty have been protected well on the Ally’s wall. Many movies was taken in No. 129 of this Alley. No. 2 and No. 5 subway line, Wang Fu Jing Street, Beijing train station, Union hospital, Capital Theater, Museum of Art, Forbidden City, Lama Temple, Temple of Heaven, Bei Hai Park, Jing Shan Park, Shi Sha Hai Bar Street and Nan Luo Gu Alley all are around this hotel. 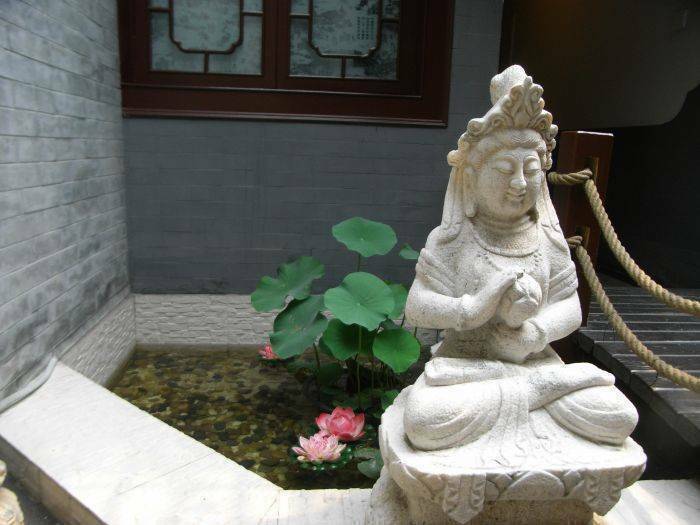 Beijing Xiao Yuan hotel (Courtyard Inn)is located in the heart of Beijing. nearby No. 2 and No. 5 subway lines. Close to Beijing train station, 30 minutes from Capital airport. If you take a shuttle bus(16RMB PP): get off at the 'DongZhiMen' station which is near the hostel, then take a taxi(about 13RMB). If you take airport express, you may transfer subway(line 2) to the 'Chao Yang Men' station, walk along Chao Nei street about 100m, and then turn left, take Chao Nei Nan Xiao Jie 100m to li shi Hutong , inside 50m, is standing there.